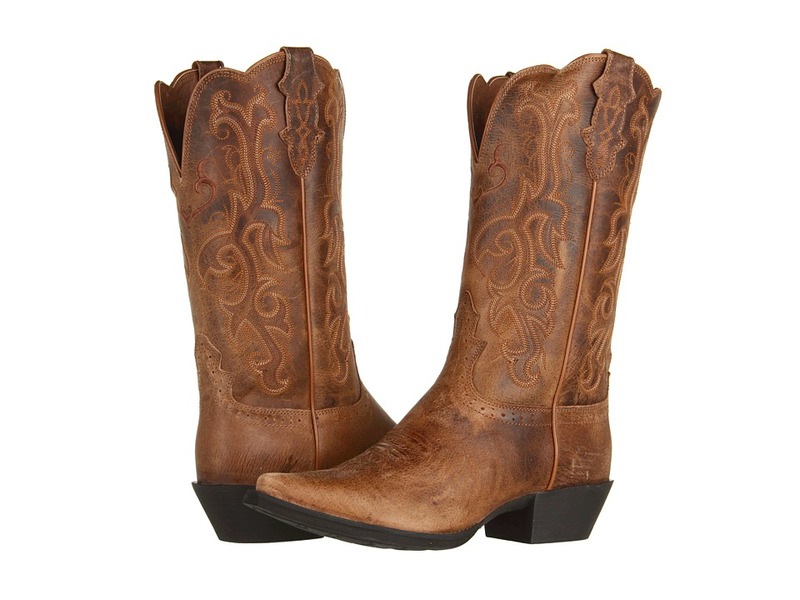 Let your true western spirit shine through with these fashionably classic boots by Justin. Leather foot and shaft. J3 toe with single-stitched welt. Classic western embroidery detail on shaft. Dual pull tabs for an easy on and off. Smooth man-made lining. J-Flex Flexible Comfort System makes these the most comfortable boots you~ll ever own. Triple density insole board generates energy return that you won~t believe. Removable orthotic insert. Justin Stabilization Technology uses dual-density medical memory foam to stabilize the foot while allowing it to move as needed. Outsole features a western technical rubber with teak insets. Measurements: Heel Height: 1 5 8 in Weight: 1 lb 5 oz Circumference: 14 3 4 in Shaft: 12 1 4 in Product measurements were taken using size 8, width B - Medium. Please note that measurements may vary by size. Weight of footwear is based on a single item, not a pair.